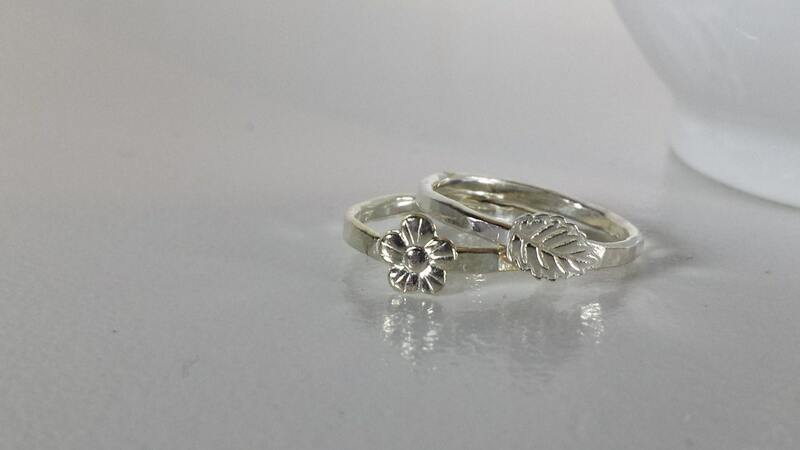 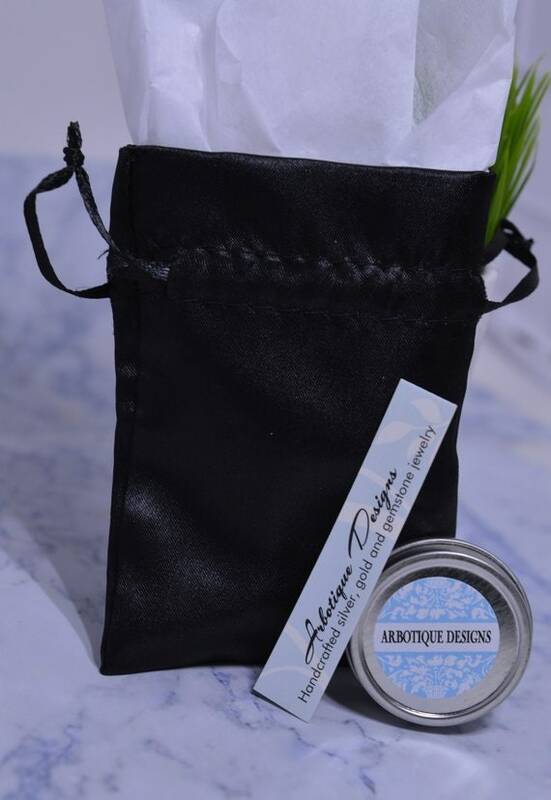 Give a flower that will last with this adorable little flower ring. 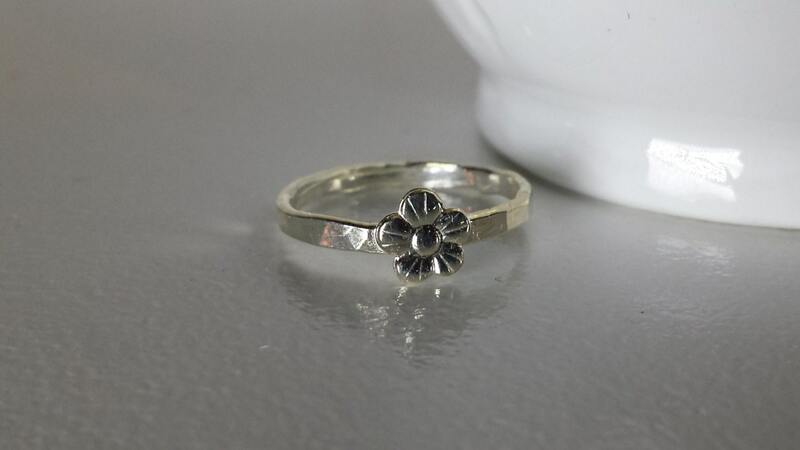 I soldered this tiny flower to my sterling silver hammered ring for a ring that is perfect on it's own or stacked with my other hammered rings. 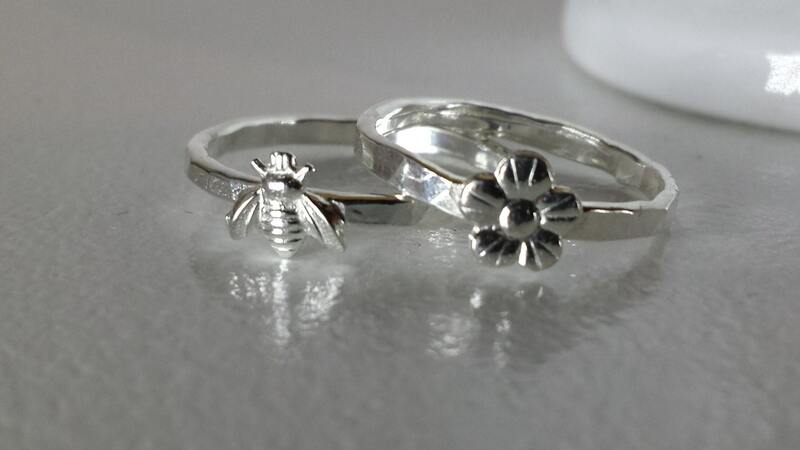 Looks especially cute with my leaf ring or tiny bee ring.